JINAN, March 10 (Xinhua) -- Former NBA player Marshon Brooks had 27 points, and Michael Beasley added 21 points and 13 rebounds to help Guangdong beat Liaoning 107-94 in the 45th round of the 2018-2019 Chinese Basketball Association (CBA) league on Sunday. 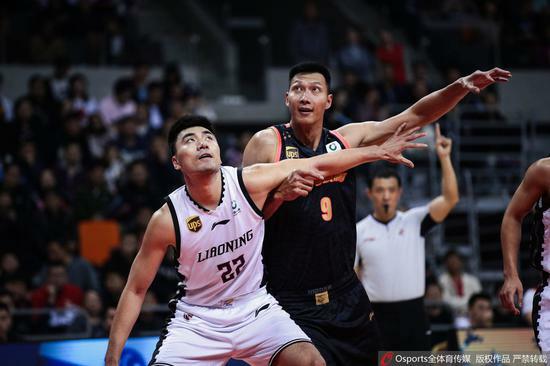 Guo Ailun of Liaoning returned from suspension, and led the visitors take an upper hand 28-27 after the first quarter in spite of Lester Hudson's injury. Marshon Brooks and Michael Beasley then took Guangdong to a 22-point lead before the last period. Liaoning once cut the deficit to 13 points, but Beasley netted 5 points to seal the win. Guo Ailun scored a game-high 34 points. Yi Jianlian of Guangdong had 5 points and 11 rebounds. Marcus Denmon of Zhejiang had 44 points with nine 3-pointers out of 16 attempts, leading Zhejiang with a 120-106 victory over Guangzhou. Elsewhere, Bayi beat Sichuan 104-88. Aolong lost to Shanxi 110-106. Jiangsu beat Fujian 110-91. Shanghai edged Tongxi 110-78. Xinjiang crushed Tianjin 143-108.